Finance Minister, Manpreet Singh Badal and the State Congress Government are squarely to blame for Punjab's woes relating to Goods & Services tax (GST), which in turn in ruining State's finances and functioning.Stating this here today, AAP leader and MLA, Kanwar Sandhu, said that the Aam Aadmi Party had during the June session cautioned the State Government against signing on Centre's dotted line while passing the GST Bill in the Vidhan Sabha and surrendering State's financial autonomy. However, Manpreet Badal had disregarded the advice and sung paeans for GST. "AAP seeks amendments in the State's GST Bill in the forthcoming session of Vidhan Sabha', Sandhu saidManpreet Badal on Wednesday complained that Punjab lost 40 per cent of its revenues after GST implementation and said that the "Centre Government should have prepared better for." 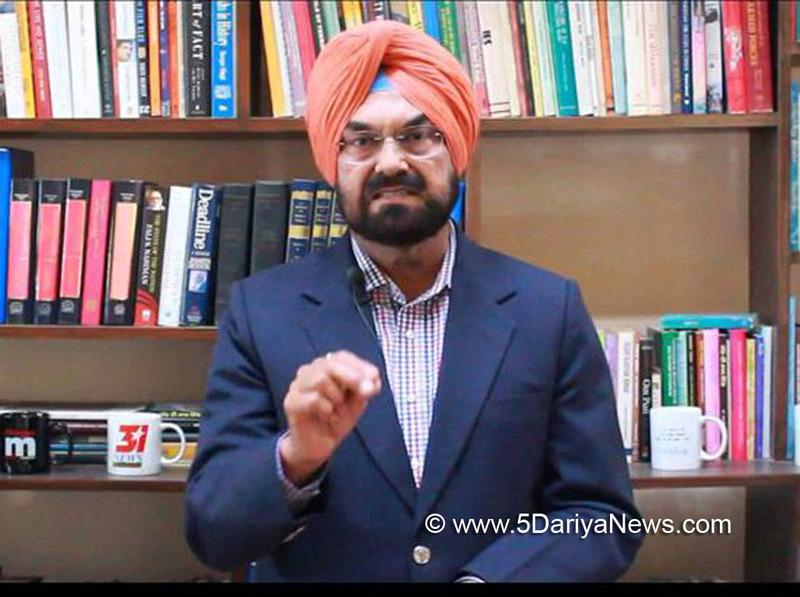 Sandhu said that while bringing the Bill in Vidhan Sabha, in fact, Manpreet should have known better. Quoting the poet, Allama Iqbal, Manpreet had sought support of the opposition to build unanimity and claimed that such an opportunity (GST Bill) for reforms comes only once in a lifetime and after centuries. "Manpreet had said that the Bill was a rare opportunity to weave a garland of the people and states of the country," Sandhu recalled.The Kharar MLA accused Manpreet Badal of misleading the House. "He had allayed fears of the loss to the state stating that the Centre was committed not only to compensate the states for any loss of revenue but give an additional 14 per cent. The Finance Minister said that the compounded amount would lead to doubling of State's revenues in five years. One year has passed and the reverse is happening. On what basis was he making the claims," Sandhu asked?Instead of only blaming the Centre, Manpreet Badal should accept the blame and make a statement in the forthcoming Budget session of Vidhan Sabha, Sandhu said. Suitable amendments in the GST Bill passed in the June Session should be introduced in the forthcoming Budget Session. 1. Talk to other states which are agriculture, agro-industry and food-processing driven and make a common platform to seek specific concessions for items/ services relating to them and get an increased share in revenues, which is commensurate with their contribution. 2. Demand for a periodic "GST Cash Credit Limit" so that any delay in transferring state's share from Central taxes does not cripple the day to day functioning of the State - as it has happened during the past six months. 3. Ask for region-specific meetings of the GST Council to address their concerns, keeping the Country's federal structure in mind. 4. Demand compensation for Punjab in view of the tax concessions to nearby Hill States.